It’s finally here after six years in the making! 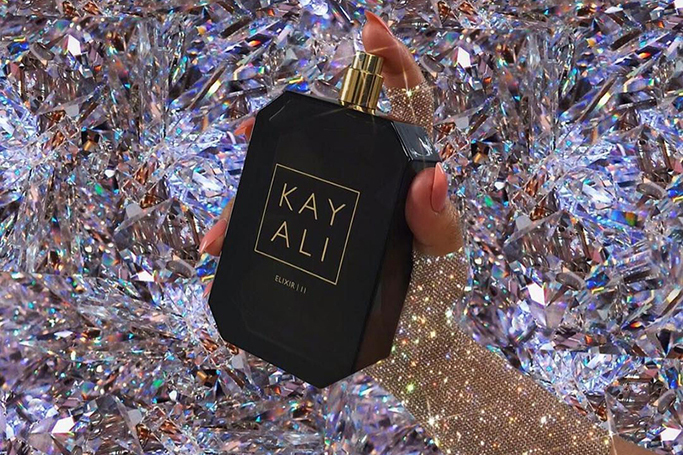 Huda and Mona Kattan’s debut fragrance collection, Kayali, is launching this Friday 16th November –and it’s already on our Christmas wish list. Kayali means "my imagination" in Arabic and is inspired by the rich heritage and simple sophistication of the Middle East. The Kayali perfume line will initially include four scents. The beauty mogul sisters have come up with a pretty cool concept for the brand’s first fragrance line, which involves layering different scents on top of one another –how fancy! Huda and Mona worked with Geneva fragrance house Firmenich to create the four unique scents; Elixir 11, Vanilla 28, Citrus 08 and Musk 12. Huda Beauty is branching out –as Kayali marks a new era for the brand. The first of many new sub-brands, Huda and Mona wanted to Kayali to stand out and have its own moment. It has a different feel and aesthetic from Huda Beauty, and takes the famed beauty brand in a different direction. Kayali Collection 02 is already in development for 2019, and there’s also a new Huda Beauty skincare range on its way. Kayali works by creating your own truly unique fragrance identity, by layering different scents as you see fit. Each scent has been to designed to complement the other –or wear alone –depending on the fragrance you desire. You can combine the luscious smells of florals and fruits to craft your own scent. For example, Mona Kattan uses a combination of MUSK 12 and VANILLA 28 as her secret weapon! The wait is finally over, as the new Kayali perfume collection will go on sale on Friday 16th November across Dubai and worldwide. Each individual scent is priced at AED 450, and will be available to buy in Sephora and online at shophudabeauty.com.